City Club members and guests have an opportunity to learn how this year’s legislative session is shaping up. Budget cuts, fracking, enterprise zones, civil unions, and other issues face this year’s lawmakers. Now is your chance to talk directly with new young leaders from both houses and both parties in our annual legislative update. 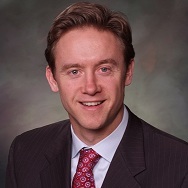 Ferrandino was first elected to the Colorado House of Representatives through a vacancy committee in September 2007. He represents House District #2 from Denver. Representative Ferrandino was selected this year to be the House Minority Leader. He previously had the most seniority on the Joint Budget Committee earlier this session. Before his election to the legislature, Representative Ferrandino served as a senior budget analyst for the Colorado Department of Health Care Policy and Financing, which provides health care to over 10 percent of Coloradans through Medicaid and the Children’s Basic Health Plan. He also worked as a program analyst for the U.S. Department of Justice and as a policy analyst for the White House Office of Management and Budget. 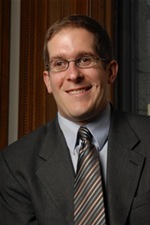 Minority Leader Ferrandino graduated with a Masters in Public Policy Analysis and a bachelor of arts in political science and economics, both from the University of Rochester. Waller is the current House assistant majority leader. He represents House District 15, which includes portions of northeastern Colorado Springs. He serves on the judiciary, state veterans and military affairs committees and is a member of the legal services committee. Representative Waller formerly worked as the deputy district attorney for the 10th Judicial District in Pueblo and has a private practice in Colorado Springs. Born in Macomb, Illinois, Waller received his undergraduate degree in political science from Southern Illinois University and a master’s degree in space studies from the University of North Dakota, followed by a Juris Doctor from the University of Denver college of law. He took a leave of absence from the DA’s office in 2006 to volunteer for a deployment in Bagdad and prosecuted insurgent detainees in Iraqi courts. Johnston is the chair of the senate finance committee and is a member of the senate education and senate services committees. He was appointed to the senate following the resignation of Senate President Peter Groff in 2009. Prior to his service in the senate, Johnston taught education law at the University of Denver and was the founding principal of MESA (Mapleton Expeditionary School of the Arts) in Thornton. He saw the senior class’s college acceptance rates increase from 50% to 100% in three years. He joined the Obama campaign in 2007 and is considered a key advisor on education issues. Raised in Vail, he earned his bachelor’s degree in philosophy from Yale University. After teaching in a rural Mississippi high school he wrote a book, In the Deep Heart’s Core, and enrolled and earned a master’s in education policy from Harvard University. He subsequently earned a Juris Doctor from Yale. 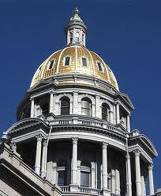 Roberts is in her first term in the Colorado senate, representing District 6 in the southwestern corner of the state. She is the ranking Republican on the senate local government committee and is also a member of the health and human services, judiciary, and legislative legal services committees. She was elected to the National Conference of State Legislatures Executive Committee. She is the legislator co-chair of the Colorado Youth Advisory Council, a legislatively created youth advisory group to the Colorado General Assembly, which was established by a bill she carried in 2008. She served two terms in the State House of Representatives. Senator Roberts received her Bachelor of Science degree from Cornell University and a law degree from the University of Colorado.